As President Obama’s National Security Adviser, Susan Rice was one of only 20 people in that administration that had access to intelligence reports that incidentally collected citizens names. Journalist and activist Mike Cernovich says that Susan Rice is shown in White House logs as requesting that very sort of information. If this information is true, a major felony has been committed by the Obama administration. Journalist and activist Mike Cernovich reports that former White House national security adviser Susan Rice obtained intelligence reports showing the identities of innocent Americans who incidentally spoke to foreign officials under security sweeps for spying or intelligence activities. Under U.S. law, U.S. persons are protected from such disclosure, which could be dry cleaners asking envoys to pick up their laundry or wrong number phone messages spilling their guts about their mothers-in-law. If such U.S. persons get swept up in surveillance, they are protected. But only if they remain “masked,” which is the law of the land. Cernovich says the White House counsel’s office has confirmed that Rice was one of the few officials with the authority to make the requests to unmask the innocent Americans caught up in surveillance dragnets. There was no national security reason to do so, but she did. 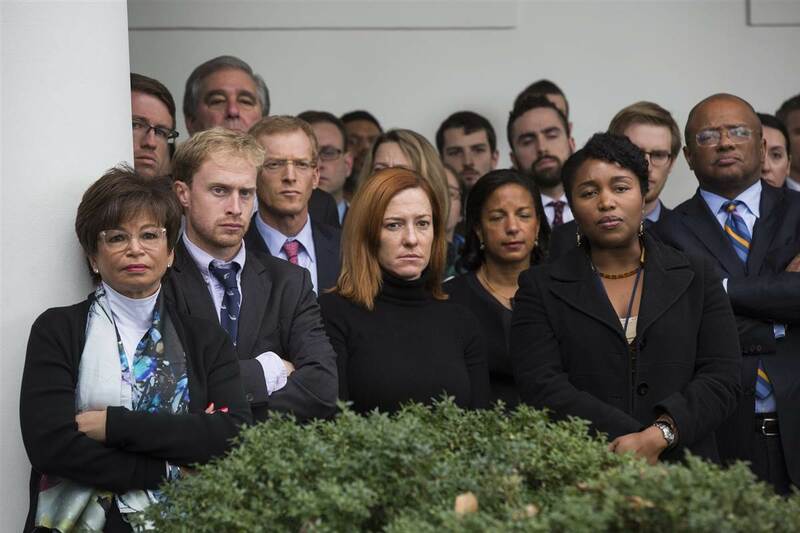 It makes a lot of sense if the aim is political, and White House spokesman Sean Spicer has pointed out that their goal was “to leak stuff.” Based on White House logs, she did, during the transition, back when angry miserable Obama White House officials frowned in a group photo for the cameras. The White House counsel’s office disclosed these logs to House Intelligence Committee chairman Devin Nunes, who has been as responsible a steward of America’s secrets as anyone …….